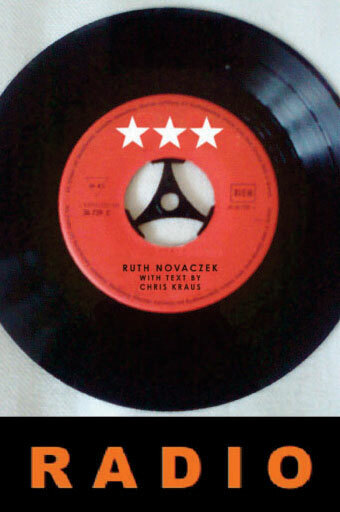 Radio' 5 short films by Ruth Novaczek. The films reference cinema, and are a fragmented, poetic and maverick take on the experimental film genre. Made mostly with a phone camera, these films form a collection of short compressed works that are noirish and aphoristic; part video-diary, part cinephilic, they work like a video jukebox, or a vinyl album. Set in several cities and landscapes, these films are a mish mash of sound and image that conjure a dreamlike journey into a world inside a radio, where frequencies move in and out of range. Ruth Novaczek was born in London in 1956 and has lived in Italy, New York and Tel Aviv, her film and installation work has been shown nationally and internationally. Please note that this DVD is for individual purchase only, for institutional sales please contact LUX directly. Booklet with a text by the LA novelist and art writer Chris Kraus.